CPD by the Sea is back for another year! 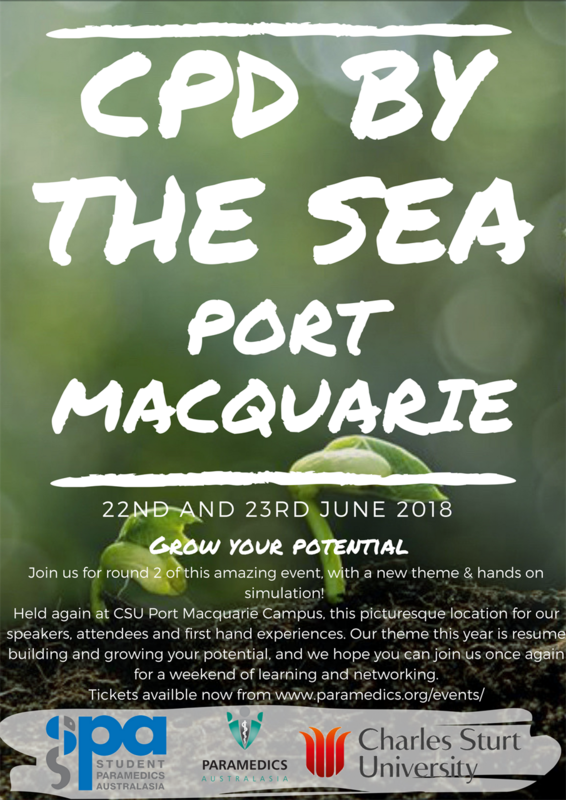 Hosted again by CSU Port Macquarie campus, this event will have key elements of what ran last year but with an all new focus! Our theme this year is 'Grow your Potential' focusing on resume building and building experience as a student and well into your career. We will have a wide range of speakers and workshops to attend, as well as a brand new simulation! Be sure to keep your eye out for full program details coming soon, but for now, grab your mates, plan your carpool and we will see you there!